The National Countryside Recreation Strategy enables STDC to employ a Rural Recreation Officer (RRO). Promote and encourage the development, delivery and improvement of recreation projects, infrastructure and activities including land, water and air based activities. Develop, improve and promote other outdoor recreation activities including mountain access. Deliver on the relevant objectives of the National Countryside Recreation Strategy (NCRS), in conjunction with State Agencies, Local/Regional authorities and community groups. Co-operate with State Agencies, Local/Regional authorities and community groups to develop, deliver and improve a range of outdoor recreation activities. 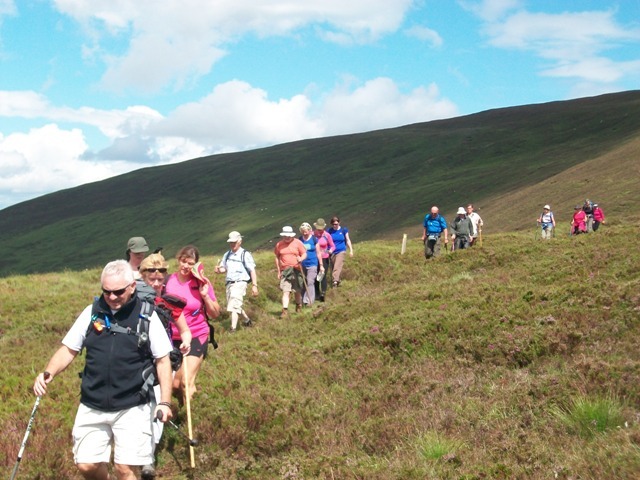 The Walks Scheme is administered by STDC on behalf of the Department of Environment, Community and Local Government throughout County Tipperary with the assistance of the National Trails Office and Fáilte Ireland, in association with local walking management committees and Local Authorities. It is a national scheme open to all landholders on National Waymarked Ways, Looped Walking Routes and Heritage Routes along with other trails that have been approved by the National Trails Office. The scheme will only operate where there is agreement on the entire walk and will not be available for part of a walk. The Walks Scheme is aimed at private landowners. Under this scheme, landholders receive payment for the development, maintenance and enhancement of approved National Waymarked Ways (NWMW) and Looped Walking Routes that pass through their land. Participation in the scheme is optional and access is granted by the permission of the landholder. 105 farmers are participating on the Scheme throughout County Tipperary and are receiving an annual payment under the Scheme. Collectively they receive an annual payment of approximately €120,000 – payable in two instalments.